Todd Brown & Deborah Owen discuss the marketing & business topics that others are afraid to touch! What would you change in your life if you could go back in time? And you get to hear directly from the members of the MFA team! Get Your FREE COPY Of My Personal Marketing Campaign Mindmap! Ep. 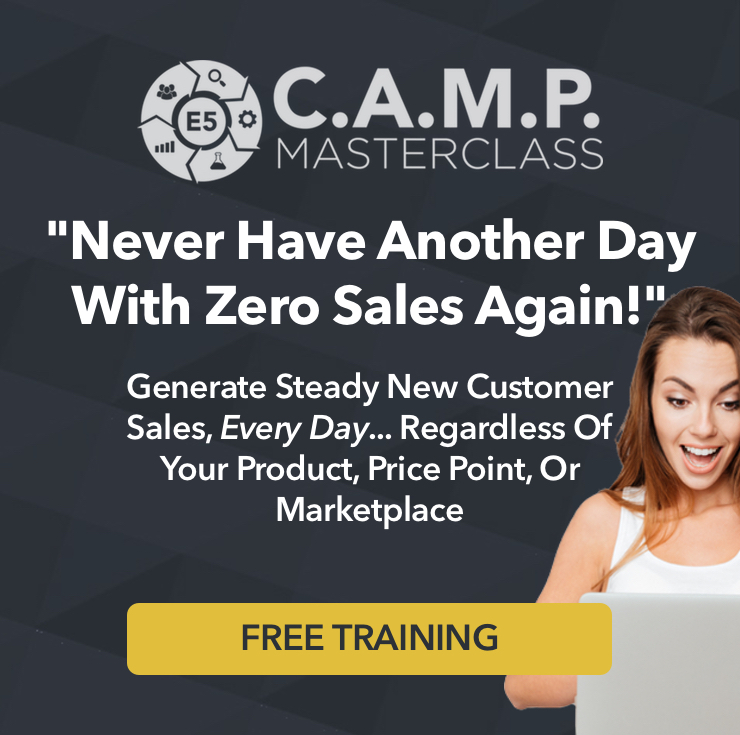 24 – Is Your Marketing Idea Outrageous Enough? Ep. 22 – The “Two Bucket Method” Marketing Pros Use! Todd really opened my eyes to a whole new world of marketing! I’m really excited to learn more. I used to hate marketing but now I’m an avid learner. He gives you the big picture of marketing that goes beyond tactics and methods. He really helps you think differently about marketing than I’ve ever encountered before. Thank you for this valuable podcast and for sharing your wisdom and experience. You must check him out! Todd is hands down on of the smartest dudes I know. Listen and implement every word that comes out of his mouth. Period. A Lifelong marketer - LOVE this! I have been in big CPG marketing for over 20 years. This podcast helps keep my skill set current. I love the short, crisp, practical episodes and am already using his advice to shape my marketing strategy and plans. Definitely worth it!!! Todd Brown’s podcast is top notch. No hype, No shiny objects, just pure bottom-line information that will make a big difference to your business. Highly recommended! I just finished listening to episode 15. Todd’s riff about focusing on the strategy of having a big overreaching idea that is fresh is exactly what I needed to hear right now. I keep falling into too much measuring and learning about new tactics that sometimes I lose focus on moving the ball forward with a good foundation. Not having a good foundation to marketing is probably like trying to build a house without a concrete foundation. If we spend all our time measuring boards and learning the latest building techniques we just end up with a mess without a foundation. Valuable content for any business owner, delivered with thoughtful insight by a great copywriter/marketer. You could spend a lot of money and not get the marketing insights and lessons as valuable as Todd gives away free in these podcasts. THANK YOU TODD! Love Todd’s no fluff just great stuff approach. Every word is useful and applicable immediately. Awesome meaty content. Principles. Not tactics. No flavour of the month here. This is by far the best podcast on marketing that I’ve ever come across. Todd knows his stuff and doesn’t hold back. Each podcast is a rock solid golden nugget -- covering one topic high impact concept without fluff or useless info. Todd obviously has a great marketing mind. Where he is really able to craft a unique, compelling hook, big idea and mechanism for his offers. And he shares exactly how he does this in this podcast. Honestly, I wish I had this years ago when I was starting out. It is money in your pocket type of information, that most people would charge a stupid amount for. Even though I’m not a rookie marketer, I find this podcast immensely value. Honestly, my biggest fear as I write this is that Todd isn’t doing this anymore… It seems there hasn’t been an episode for a few months. Even still, this is such a good find. I will listen to this multiple times, and especially before I sit down to create an offer. Download, subscribe, rate, and pray this isn’t over. As a small business owner myself, I’ve found this podcast extremely helpful and informative! I’m always looking for new ways to market my business and now I have a few new things to try out! I love the nuggets that are presented here in less than 30 mins. No need for fluff when the content is this good! Love the personal stories mixed in with marketing nuggets! Every time I listen to Todd Brown, I learn something new and valuable, and always walk away inspired. Debbie asks interesting questions and contributes great insights too. Love the podcast. Can't wait for the next one! Definitely worthwhile for business owners that want to get in the marketing mindset! How'd I miss this podcast? I've been a fan of Todd's work for a long time - had no idea he was giving away such great content. Todd's the real deal, always willing to say it like it is, and always willing to focus on teaching first. When Todd says "write this down", write it down! Todd shares more of his proven marketing expertise in each podcast of “The Marketer’s Mind” podcast than many companies do in entire training programs. I highly recommend this podcast as the top show to listen to each week if you’re looking to drive more leads and sales into your business. Looking forward to more of these. Great marketing advice, down to earth and easy to relate to. Definitely a must-hear for today's entrepreneur whose trying to get out ahead of the pack. I'm hooked; I'll be a regular listener. ? Educational. Entertaining. And crazy effective! Any and every entrepreneur who has an online business or any business with a website NEEDS to listen to every podcast on the Marketer’s Mind. Todd and Debbie know their stuff like nobody else. Thanks for a phenomenal show! The content is killer! I am already hooked on this podcast and ready for episode 6! What I love about Todd and this podcast is that he isn’t sharing tactics and gimmicks that work today but will be obsolete tomorrow. Todd has spent years studying and working with the masters of direct response to deeply understand buyer behavior and teaches proven principles and strategies. If you’re in marketing or own a business, you’d be a fool not to listen to what he’s sharing here. Finally truth in direct response marketing! What a breathe of fresh air it is to hear honest, insightful marketing messages. Thanks for bringing to the forefront the most pivotal aspect of marketing, “Thinking.” I think my favorite part in episode 1 was your candid response on how marketing is manipulation, but good marketing, with good products, is manipulation with out the negative slant. Priceless stuff, keep it coming. I always find it intriguing when a marketer such as Todd Brown explains the ins-n-outs of a marketing piece. If you are looking for ways to enhance your marketing skills…you have got to listen to this show! Really liked the laser-focus of each episode. There’s so much to learn from Todd and Debbie, and this format is ideal for their subject matter. They pick one topic in marketing and dissect it from all angles. They are honest and don’t provide “hocus pocus” advice, it’s all grounded on hard work, testing, feedback, and playing the game properly so that the numbers swing in your favor. A must-listen for Entrepreneurs and Marketing folk. This content is SO valuable! People PAY big money to get their hands on content and tools like this- and you’re giving it away for free! Love it & can’t wait to download the next one! I always love when podcasts can remained laid back and relaxed, and sound like REAL conversations instead of scripted interviews. This show does exactly that while still remaining informative, and gives great insights into the world of marketing! AWESOME content. Never want to miss a single one of these! Great job Debbie and Todd!